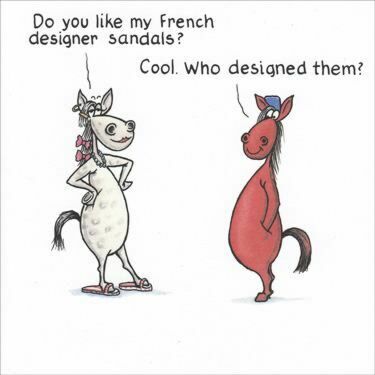 Do you like my French designer sandals? The inside of the card reads:Phiilipe Phillop. Happy Birthday with the image of the two horses.